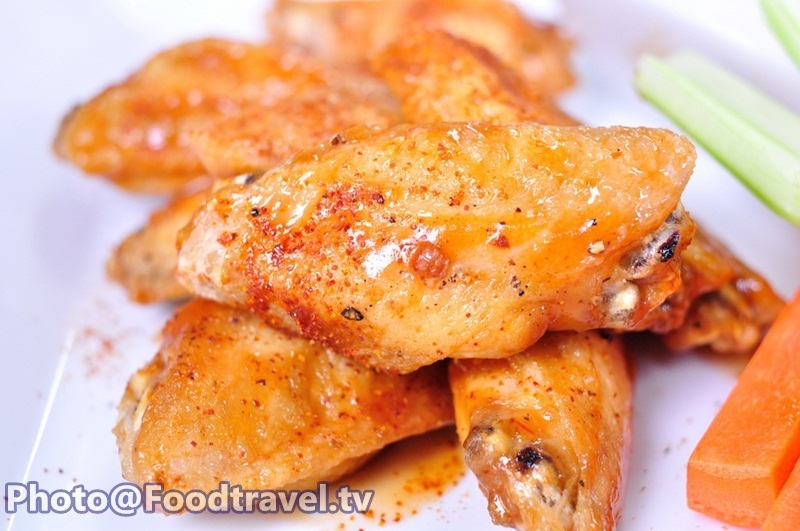 Buffalo Wings - Buffalo Chicken Wings is a famous dishe in the restaurants and pubs. But it’s much better if you can serve yourself at home. It’s suitable menu for all ages. 1. Season the chicken with salt and pepper, then fry until golden crisp. Drain the oil. 2. Season BBQ sauce in the taste you like with salt and pepper. 3. Add chicken to mix with the sauce. Then arrage on the plate. 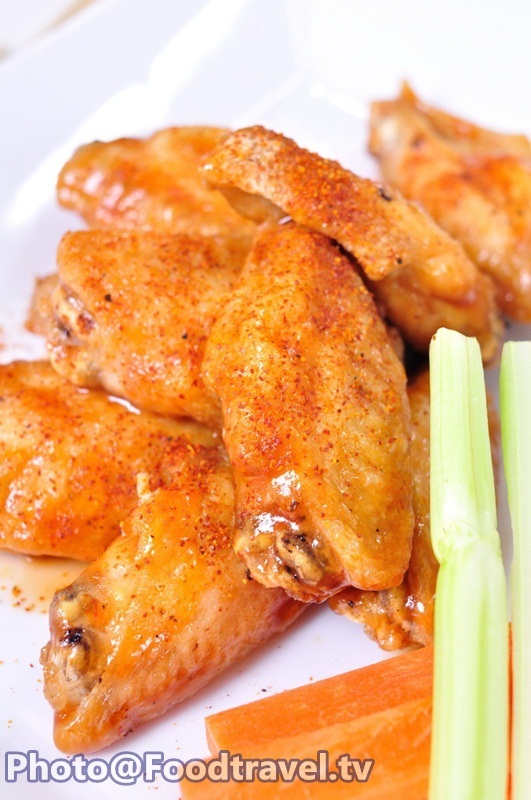 Serve with carrot, celery and ranch.